Approx. $700 million in pies (approx. 186 million units) are sold in grocery stores every year. More than one-third of Americans have eaten pie in bed. 1730 Josiah Wedgwood was born. English inventor, artist, world renowned pottery designer and manufacturer. His daughter, Susannah, was the mother of Charles Darwin. 1859 William Goodale of Massachusetts patented a paper bag manufacturing machine. At one time this was a very hot field of research. 1861 or 1864 George Washington Carver was Born. African American botanist, educator, agricultural chemist and innovator. He developed hundreds of uses for peanuts, soybeans and sweet potatoes. He established the George Washington Carver Research Foundation at Tuskegee, for agricultural research. 1873 It is reported that it rained frogs in Kansas City, Missouri. 1934 Ole Evinrude R.I.P. He invented the first practical outboard motor in 1909. The idea came to him while rowing a boat to a picnic one day. He decided there must be an easier way to move a small boat on the water. 1948 Richard Simmons was born. Weight loss program, ‘Sweatin’ to the Oldies’. (A very unique person). 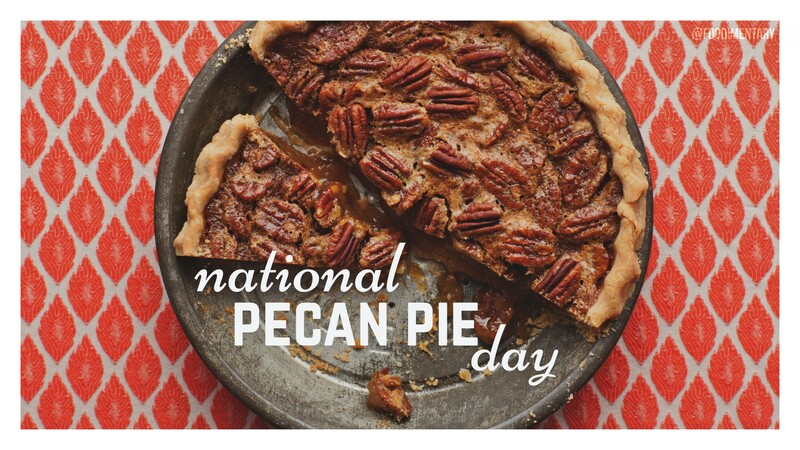 I love pecan pie but did not know it was on this day. Thanks for all the info! My all time favorite pie. YUM! My all time favorite pie followed by pumpkin. YUM! it looks so good! Had the same pie at office today too!! !